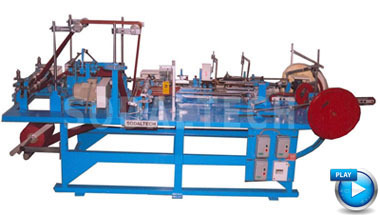 This machine is used to manufacture thin, medium walled paper tubes and cores for tissue rolls, fax rolls etc. 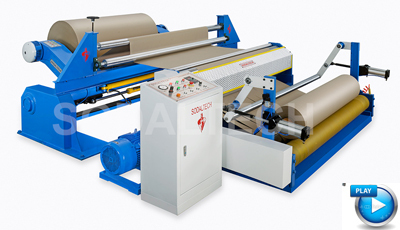 This heavy duty Spiral Paper Core winder is suitable to produce thick walled cores for various applications like paper mill reel cores, film winding cores, carpet cores etc. This machine is easy to operate and maintain. 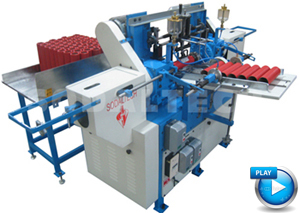 The cutting carriage moves on free slide rails synchronized with the main tube winder. 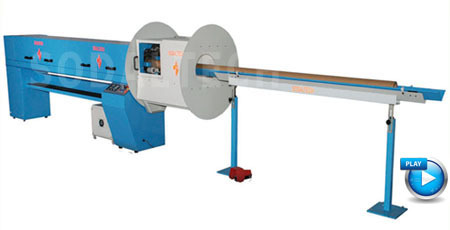 The online fine cutting unit delivers burr free cores without dust and noise generation. This machine is fitted with suitable safety devices for operator’s protection. 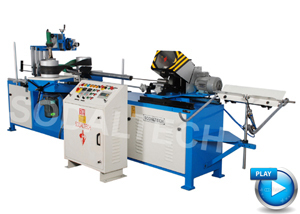 The core cutter is simple to operate and maintain. Thread notch depth angles & reference are easily adjustable.